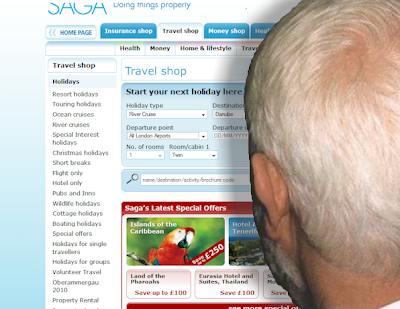 Above is the image of the archetypal silver-surfer planning and booking holidays online, chatting on Skype with grandchildren in the far corners of the world and ordering the shopping for home delivery from the supermarket. A cliché, but accurate nevertheless? What is the reality? The study, which examined the region's [Europe] digital landscape over the last five years, also revealed that more than one in four Europeans had never used a PC. More than one in three of the digital refuseniks said they did not see the need for a connection while nearly one quarter said they could not afford it. People above the age of 65 and the unemployed were the least active online, it said. There are some strange assumptions here. There is confusion between computer use and internet connection and the rather risky hinted-at extrapolation that PC use means internet use. The word refusenik is a good sub-editor's sound bite - but disguises the full picture. Wikipedia says "Over time, "refusenik" has entered colloquial English usage for any type of protester." The implication of this is that the one in four Europeans who have never used a PC are all protesters who are actively rebutting all efforts to get them online. One in three of these 'protesters' said they didn't see the need and a quarter said they couldn't afford it. So all those who said they couldn't afford it are protesters, are they? Er... perhaps they just can't afford it. There is nothing surprising in the over-65s and the unemployed being the least active. But it doesn't mean they are all 'refuseniks'. And saying that you 'don't see the need for an internet connection' doesn't make you a protester or refusenik either. Shocking to contemplate for the fully wired and plugged-in digi-addict I know, but it is just possible that lots of people, especially the elderly, genuinely see no need to be online. Shock horror. And there is something else which doesn't seem to be considered by this report: Internet Angst. This is a subject closely related to a lack of adeptitude (see this previous post) and Future Shock. I am sure that hidden behind the EU report's percentages is a lot of fear - especially among the over 65s - even the ones who do have an internet connection. I have two real examples - elderly people I know well. I won't name them, but I dare say I could without much fear of embarrassment on either side, because - as will be revealed - neither party is very likely to ever read this blog. The first party is a retired higher education administrator, now in his late 70s. He has had a computer for fifteen years, since just after his retirement, ten with an internet connection which has been broadband for the last 6 years. When he first got the computer he contented himself with household accounts and designing and printing leaflets and notices for both his golf club and Church. However, I remember him telling me (for the first time of many) that he would of course (of course?) limit himself to just a couple of short sessions a week. The implication being that longer exposure than that to the evil monster might seriously damage his health. And when he got a modem he was constantly apologising for, and trying to justify any time he spent online. As far as I can gather he has spent the last ten years sending and receiving a few emails; checking his banking online (yes, he does do that! ), and booking a few holidays in classic silver-surfer style. Just a few weeks ago however, I asked him as an aside during a telephone conversation whether he'd like to send me photos of his grandchildren as email attachments. Almost defiantly - it seemed to me - he admitted that he "hadn't plucked up enough courage to try and work out how do that yet." In ten years?!? The other example is a seventy-year-old former top secretary and PA now retired. Earlier this summer her children, nieces, grandchildren, brothers and sisters - who are spread across three continents - persuaded her to join Facebook after months of resistance on the grounds that she didn't "understand what Facebook is for" and she didn't want "to expose herself to all that sort of stuff." (Huh?) Nevertheless, for a week or two she exchanged messages and looked at posted photos from rellies, which she actually admitted that she enjoyed, but oddly continued to bleat about not understanding what FB was about; stated that the whole thing made her nervous and announced that she would probably delete her account quite soon. Apparently she has done exactly that. At the same time the same group of relatives had been trying to persuade her to sign up to Skype. Total flat refusal with no explanation, despite the fact her telephone bill is always an issue for her. Why...? What is going on here? These two senior citizens are not stupid. Quite the reverse, and both are very sharp and alert. And they are certainly not alone - these are not isolated examples. Remember, these two people are not true refuseniks, to use the BBC's word: a big part of them wants to be involved with the new digital age and recognises the benefits, or some of them at least. For instance, both my examples have been sending and receiving email for years, despite one of them being unable to make an attachment. There just seems to be an invisible barrier, a mental block, beyond which they fear to tread. I believe that no amount of coaching and cajoling will ever completely eradicate this angst, and the most anyone can do is give people the opportunities to use the new technology. If they don't take them, nobody can force them. And I suspect that with many people the more they are cajoled, the more they back off. It is well documented that electricity, the telephone, radio and television have all caused comparable anguish in their time. And go back further and a lot of people had problems getting their heads around iron ships and steam power. And millennia ago did some people look at the first wheeled vehicles or men riding horses and shake their heads, scratch their ear nervously and walk away, despite seeing the obvious benefits demonstrated by their neighbours every day? I love google. 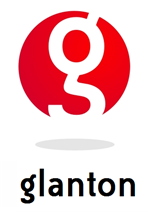 It is awesome search engine. I also use yahoo and bing..
Good to be here and to read this marvelous article which i need to say thanks. I really appreciate this info. Yahoo mail care service customer number can be reached 24x7 365 days a year to look for instant assist regarding your Yahoo mail account and password. Third party Gmail technical support team takes care of the bulk number of issues like unable to open an email account, an issue in forwarding an email, trouble in attaching mail, complexity in fixing the hacking issue, a problem in composing an email, and much more. Gmail tech support expert are reliable enough to take care of all your technical needs. Gmail is a web-based email service but sometimes it becomes difficult for Gmail users to access an account due to some technical issue in Gmail account. However such issue can be easily fixed by taking the best tech support of a certified tech professional of Gmail. Furthermore, a third party Gmail customer service 1-800 phone number is the one-stop destination to avail the top-notch tech support solutions. You will not confront any kind of Yahoo account technical issues in finding a saved file attachment in your account. Feel free to contact Yahoo customer service phone number and attain the maximum tech support. Does every email which the sender is sending are going into the spam folder? If your answer is positive, then you need to quickly figure out the main issue behind the same and fix it instantly. In case your inbox is getting messy with junk email and spam, you can simply use the tips for getting your inbox back under control. For this, you can dial a Yahoo customer care service number to get the faster resolutions of your Yahoo Spam email troubles. Find the best dial customer service Yahoo mail account? If technical support service recognised the many issues and email spam issue, password recovery issues and many more. The company’s technical guy sitting across the desk knows the best technical method to erase out the error within a stipulated period of time period. If you are thoughts that how to get this successful support, then don't think too much about that. You can get this support without difficulty by dialing Yahoo technical online support number which is accessible at 24x7 hours for the each user. So, that user can get in touch with over this toll free service any time. They will also tell you how to encrypt the files and folders so that even if you give access to anyone else they won’t be able to get into your private data. our Yahoo mail customer care service number 2017 technicians today and get the secure remote technical support right away. Get Online Yahoo Support from Yahoo Technical Support Team so that using Yahoo account would be the matter of few minutes. If you have come across so many Yahoo account issues then ensure for calling at the Yahoo email helpline account recovery number and soon solve the tech matters in no time. Through the recommended contact number, soon resolve emailing, password and error connected issues and start taking worth possible solutions at its earliest. Yahoo email users will agree the fact spam emails issue is really common and frustrating problems, so let’s solve this issues visit our website or contact us @ toll free number of Yahoo email customer care 1-800-469-7195. Residential ats new projects in Noida offer best quality living solutions. These projects have been designed keeping the middle-class families in mind. There are types of ats new project noida extension: economical and luxurious. If you want to create a photo album on your Facebook account, then you can read this post and get complete information about how to create a photo album on Facebook in an efficient manner. In order to create a new album on Facebook, a user has to upload at least one photo to it. The candidates who are willing to take a career ahead in the medical field can duly sit for the NEET 2019 twice. However, the exam with best scores out of two will be considered for the final assessment of the candidates. With Yahoo Account key, you don’t need to worry much about remembering your password, as you will be prompted with a notification on your mobile device each time you or someone else (hacker) tries to access your Yahoo account. This not only works as a convenience but minimizes the risk of hacking. To know how you can setup Account Key for your Yahoo account follow the step-by-step instructions mentioned below. One of the very common issues that yahoo email users frequently faced that is Forgot password problem. Now forgotten password would not be night mare for you anymore. If you forgot your User id or password any one then you will face login to your yahoo account. So you have to be very careful when you set any user id or password for your yahoo account. The Yahoo Helpline Number is very helpful for the users as it has been set up to fulfill the needs of the users. This contact number of the Yahoo customer services helps the users to talk to the technicians and the other members of the customer support team. This support team is always happy to provide the technical solutions to the users for resolving the different issues that are faced by the users. Yahoo technical support offers you help through the phone service. This on-call medium is alive for all the 365 days a year, 7 days a week, and 24 hours a day. You are thus can give a buzz at the phone call so that easy solutions can be acquired. Hopefully, by now, how to contact Yahoo number like query must have resolved. After going through these above-shown steps, you can easily ‘add a signature to Yahoo Mail account’. However, if you still find trouble in adding a signature in your Yahoo Mail, you can consult some of the Yahoo experts who can easily guide you in a perfect way to add signature. Gmail will help you for your problem in your iPhone and you can cure it by the help of their technical experts. So never hesitate to speak up to get the solution for your problem. Have you lost your Gmail password now you check here how to recover Gmail password on iPhone. Whatever the problems you have in your account, Gmail is always there to give their support to the customers. And as they have millions of customers all over the world and they always pay attention to their reputation, so they are careful about their customer's satisfaction and their own reputation. Check out a few steps to Gmail account not working Firefox browser. 1. Log in to your Facebook account with the email id and password. 2. Now go to your profile page from the home page. 3. Now take the cursor to your present profile picture and hover over it. 4. A menu will appear with some options including Update Profile Picture. Yahoo! offers an additional layer of security through the two-step verification process. Some users like the feature while others find in troublesome to enter two verification passwords on every sign in. Here is a guide for both types of users to enable and disable two-step verification in their Yahoo! Mail account.